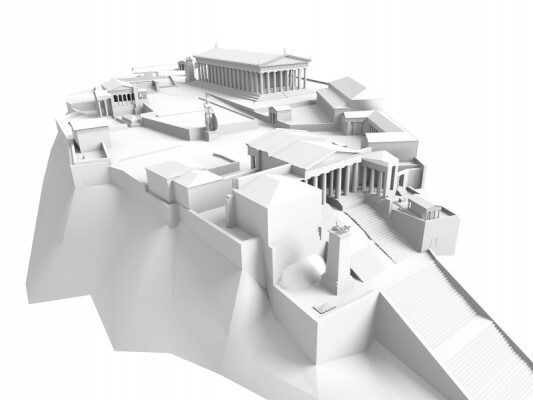 Accurate low poly reconstruction of acropolis of Athens in Roman time 165AD. All buildings are UV textured and ready to use in Blender or Unity game engines. Textures are not included. This is amazing. Thanks for the model. Could someone convert this to a Wavefront .obj file? I tried exporting it to .obj using Blender but didn't work. @erwincoumans, fixed OBJ export in svn, model saves out OK now. May i know where to download this model?